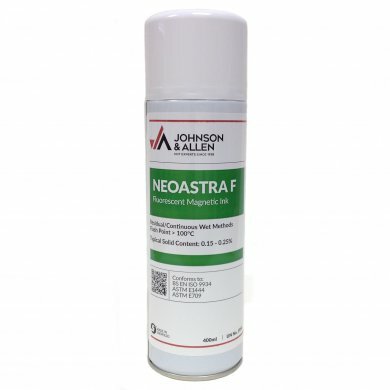 Neoastra F is a fluorescent magnetic ink for use in MPI and was formulated to give defined indications using the highest grade of magnetic particles which were selected for their response to very low magnetic fields and for low coercivity. 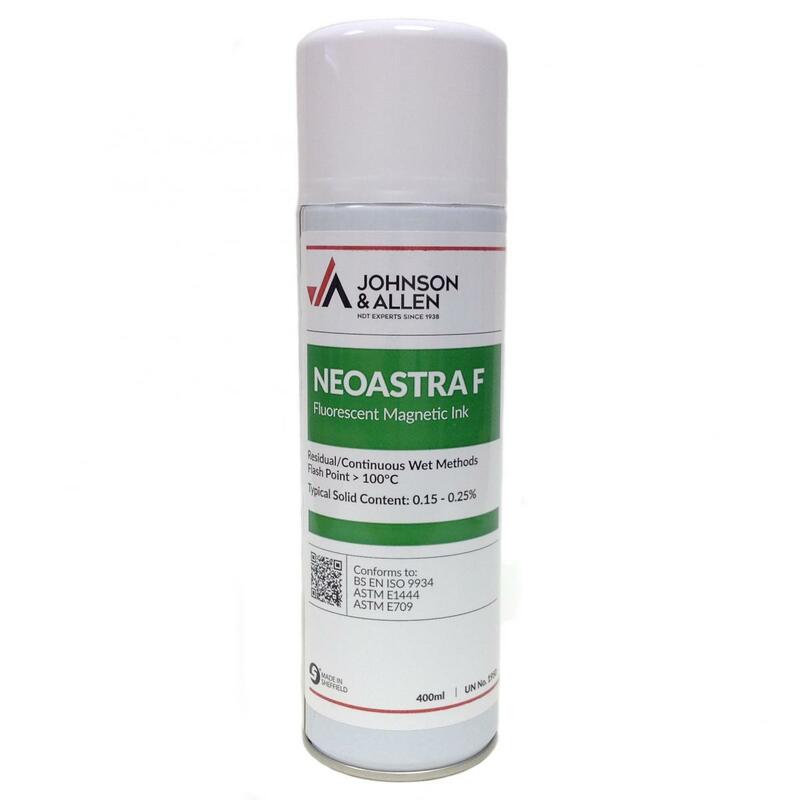 Neoastra F is ideal for the inspection of welds, pressure vessels, structures, pipes, castings, forgings and most other ferromagnetic components. Neoastra F aerosols use a CO2 propellant which gives an excellent active product to propellant ratio when compared to liquid propellants like Butane, Isobutane and Propane. Available in 400mL aerosols and in 5L and 25L bulk containers.